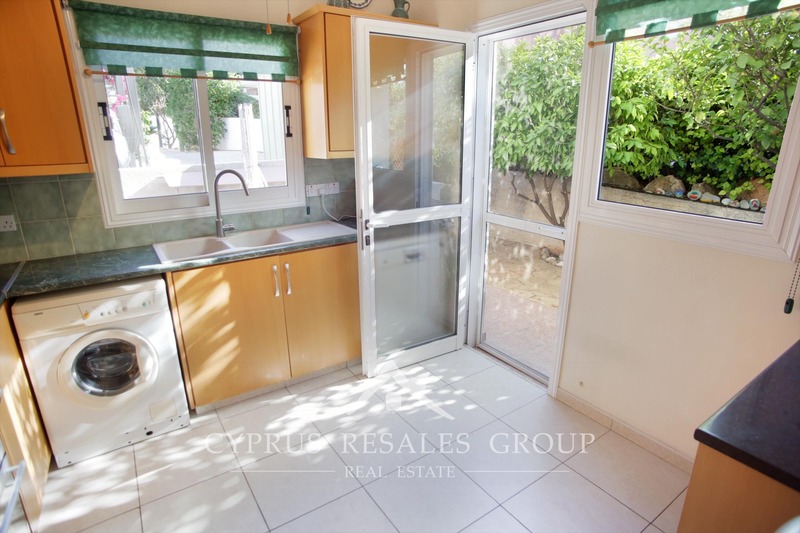 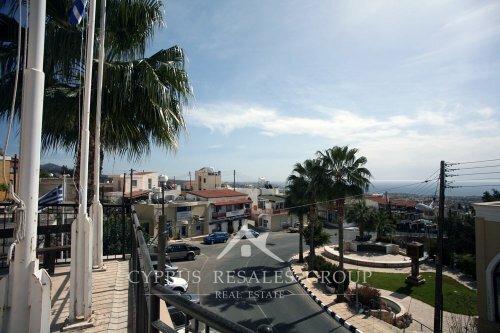 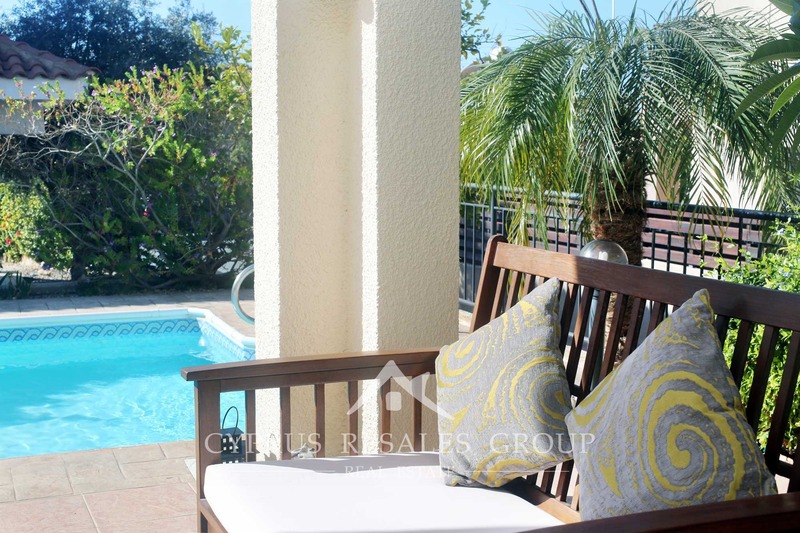 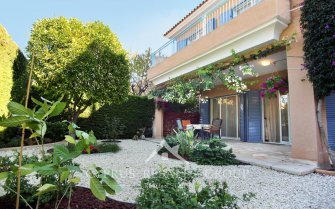 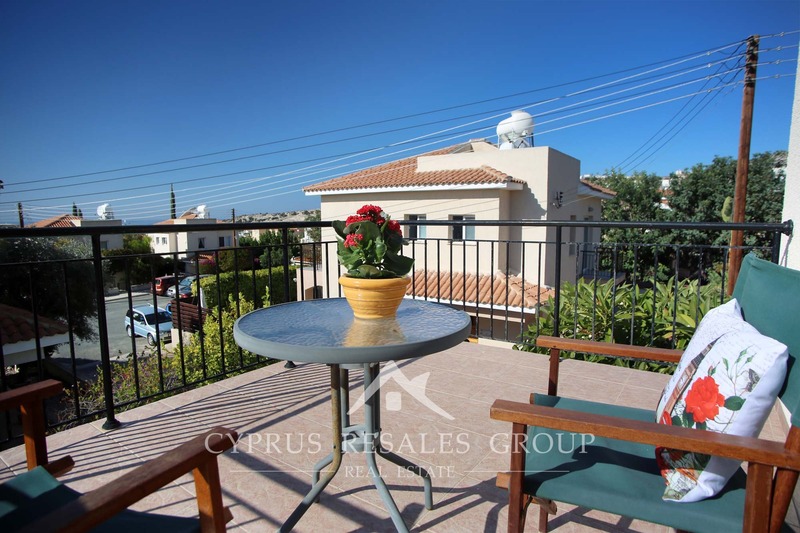 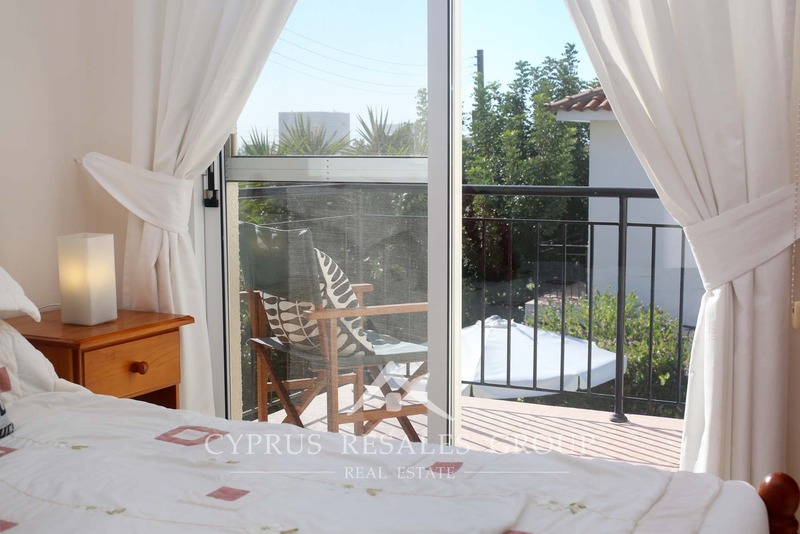 3 Bedroom Villa Natasha Gardens for sale in Peyia, Cyprus. 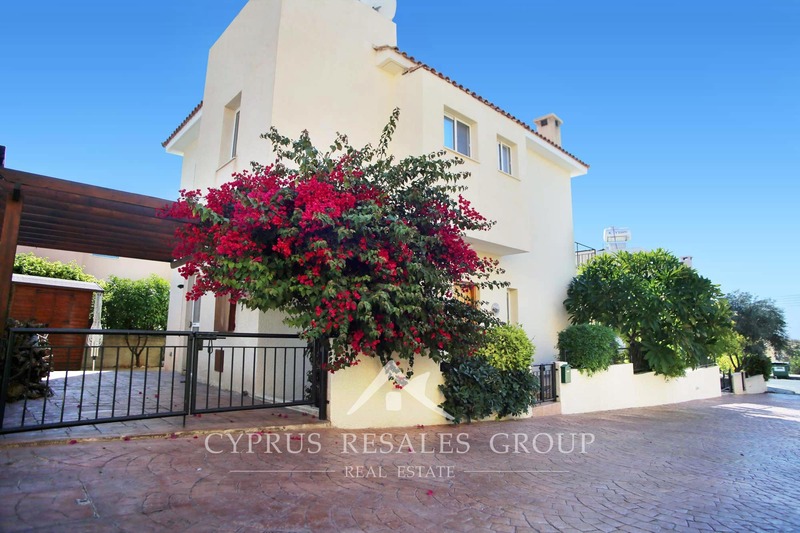 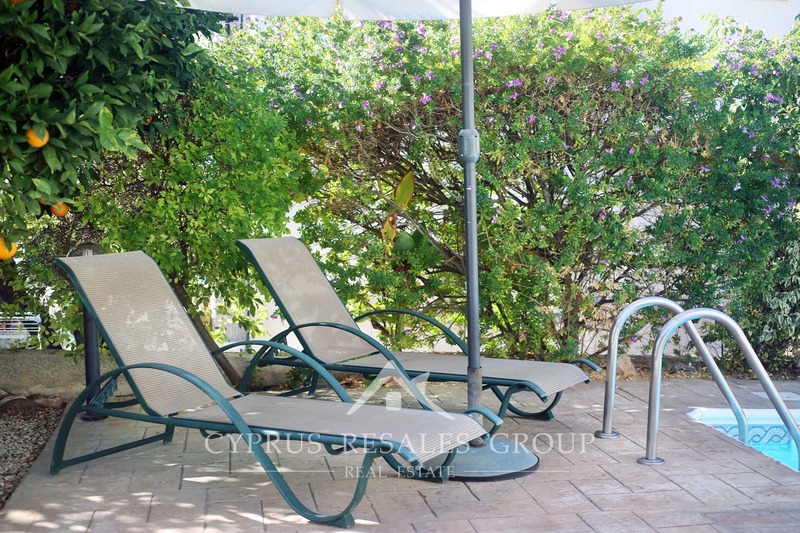 Great value family villa with a private swimming pool enjoys a quiet cul-de-sac setting in the popular coastal village of Peyia. 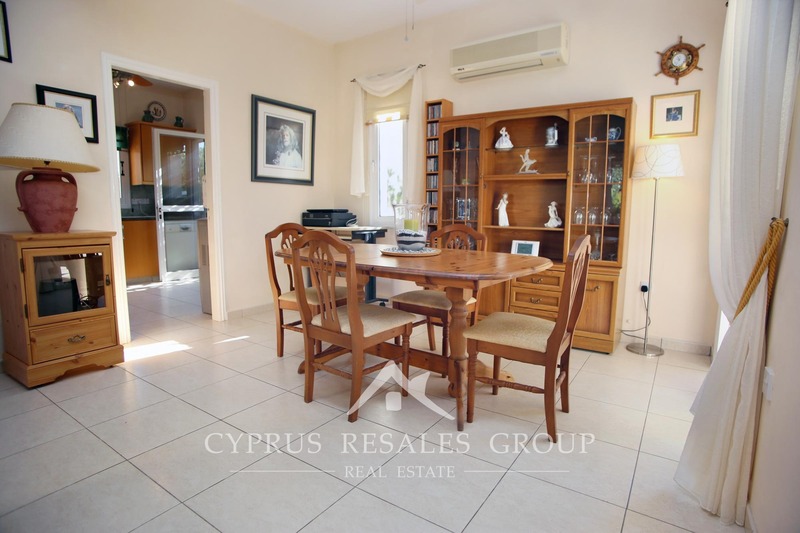 Good size and harmonic layout of the interior and a multitude of appealing outdoor recreation space are sure to attract your attention to this beautifully presented Peyia villa. 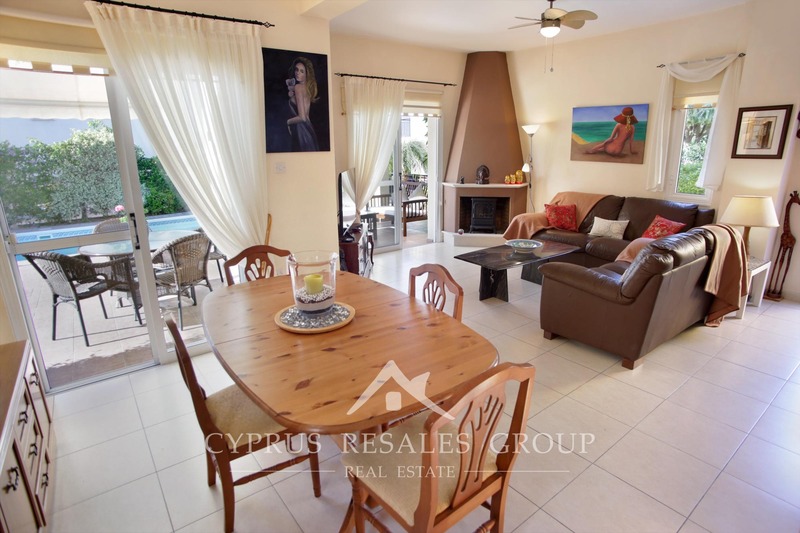 On entry we find the lounge that is combining living and dining areas into a great space. 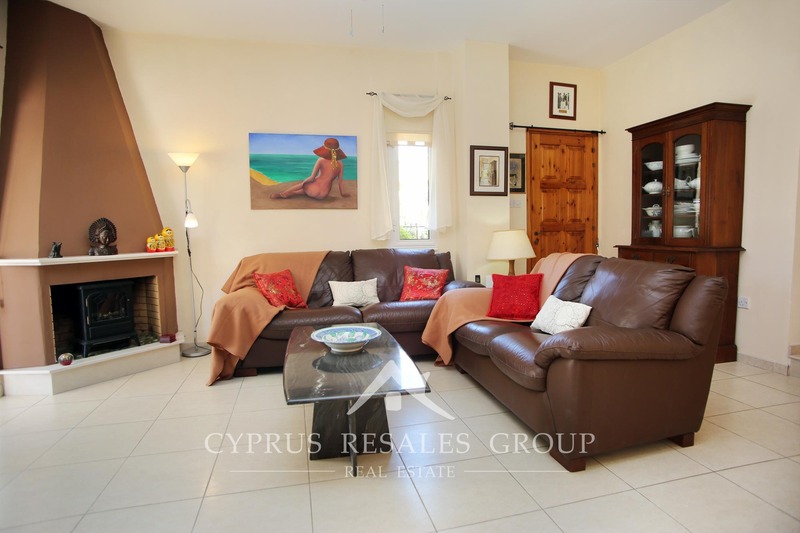 In fact, generous proportions of this lovely family villa dominate throughout the house. 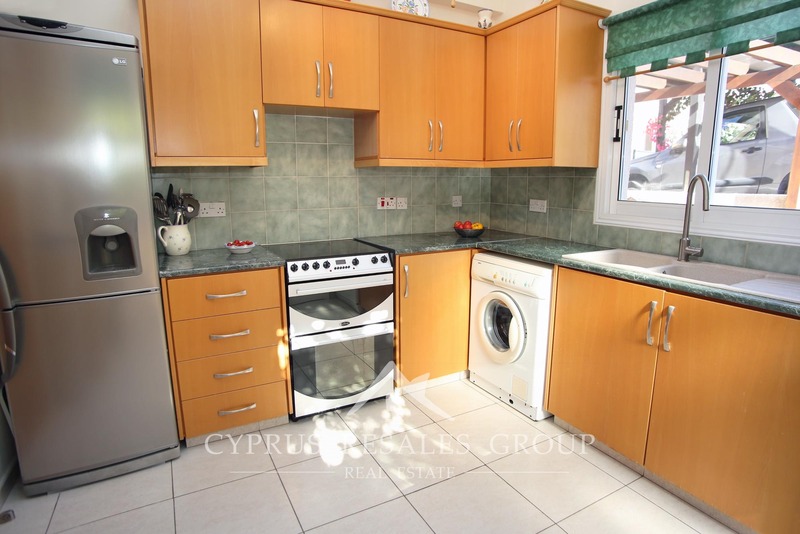 The separate fitted kitchen is a chef’s delight indeed. 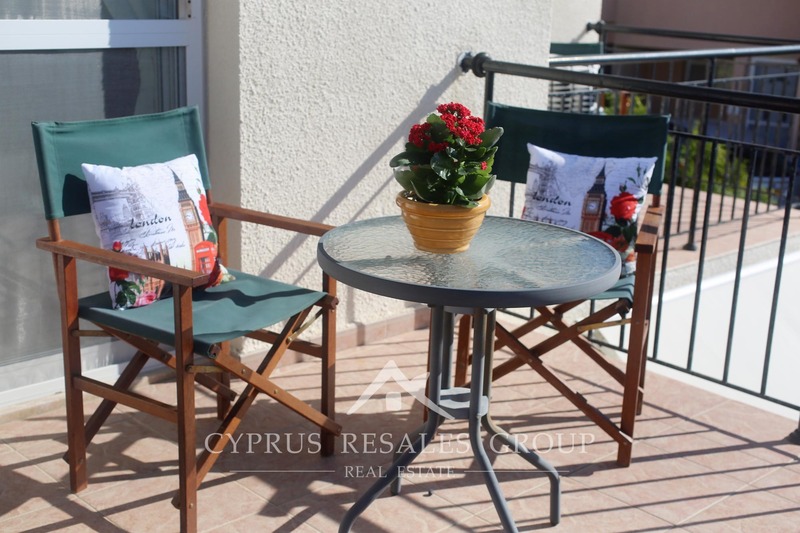 It offer substantial storage and opens to the dining area and to the side garden and parking which adds to the convenience. 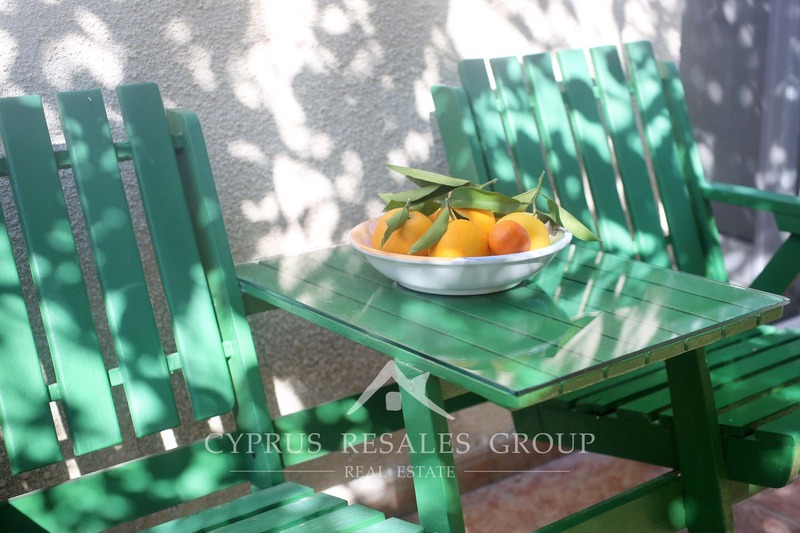 It’s easy to imagine yourself serving delicious Mediterranean salads and Cypriot fruits to your guests in the secluded private gardens, with the Northern winter rain and snow being only a distant memory. 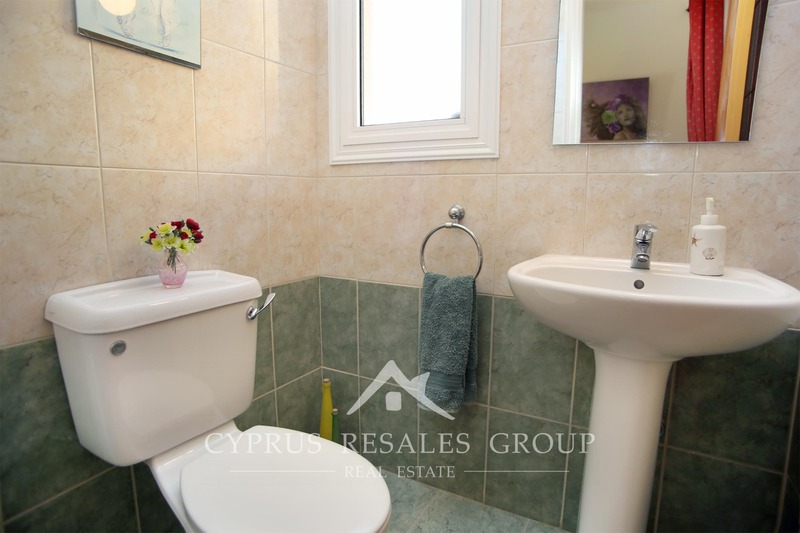 Ground floor also accommodates a guest toilet. 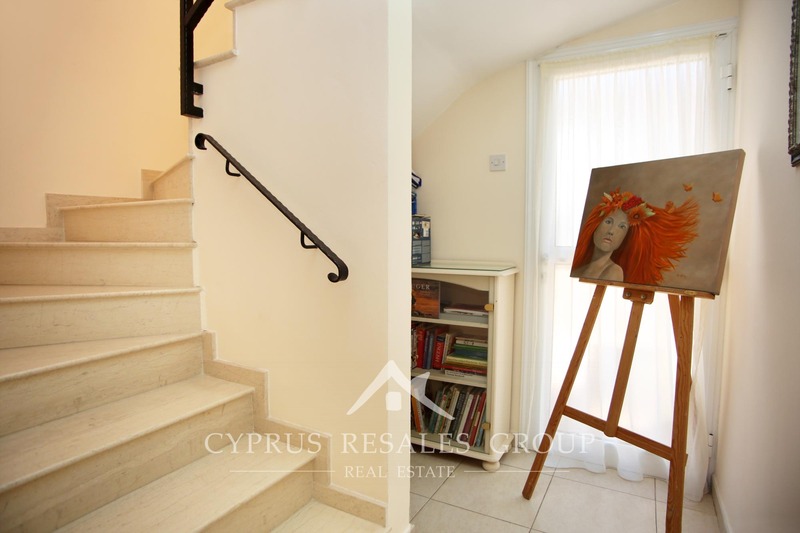 Lovely marble staircase with wrought iron railing takes you to upper landing. 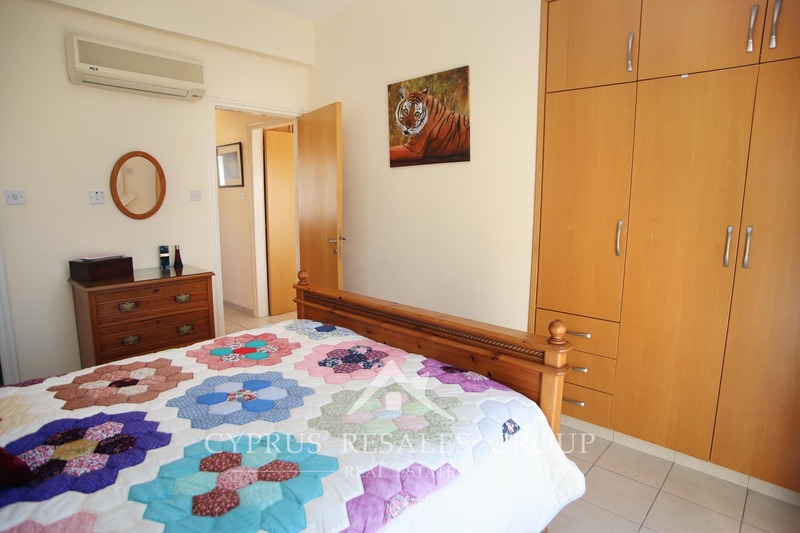 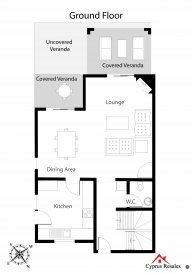 Here we find three double bedrooms, master with an en-suite shower-room, and one family size bathroom. 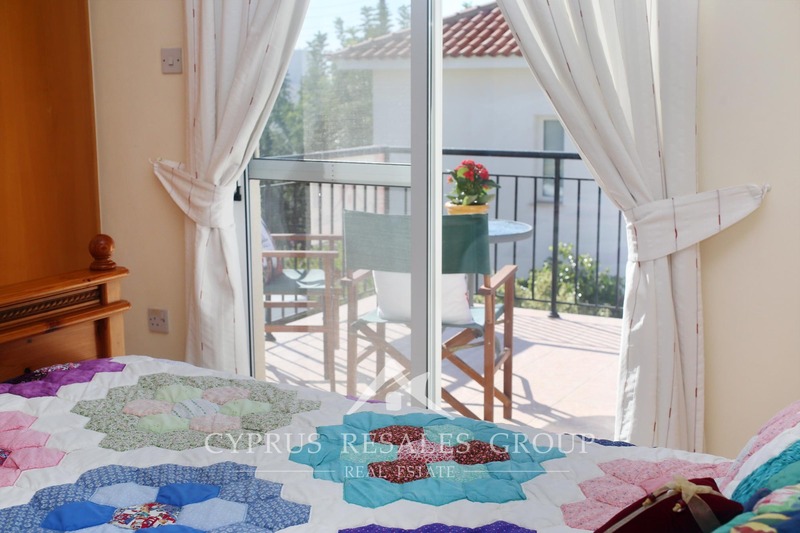 Master bedroom exits onto a roomy open veranda overlooking the gardens to the front of the villa. 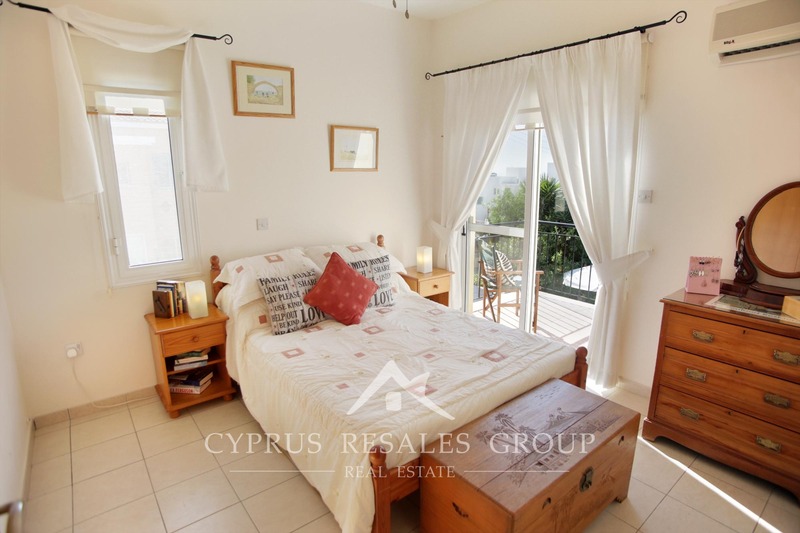 Second bedroom also has its private balcony, while the third bedroom benefits lovely mountain views. 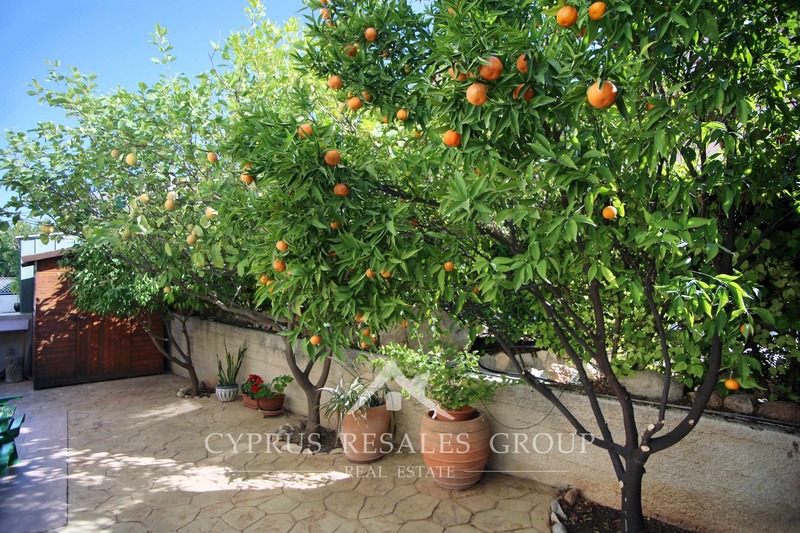 The peaceful courtyard setting and ample living space should make this family home a must view. 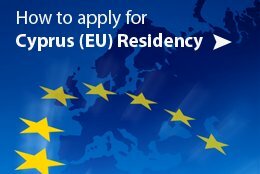 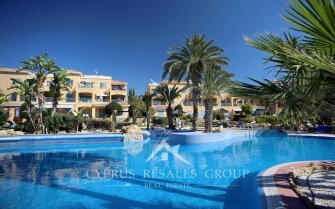 You expect TITLE DEEDS and again and again Cyprus Resales deliver. 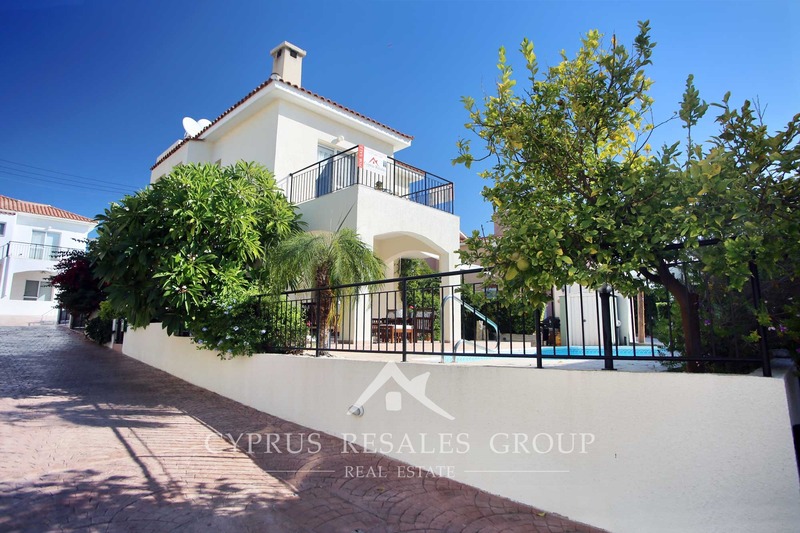 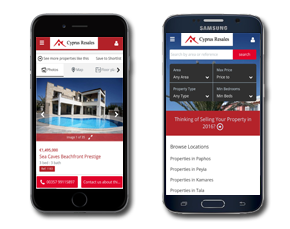 Buy with confidence your own villa in Cyprus.